The Supreme Court on Wednesday upheld the constitutionality of the Aadhaar, the 12-digit unique identity number with biometric and demographic information issued by the Unique Identification Authority of India (UIDAI), but read down certain sections of the Aadhaar Act. A five-member bench headed by Chief Justice Dipak Misra ruled 4:1 in favour of Aadhaar, with Justice DY Chandrachud being the lone dissenter. Linking of Aadhaar with mobile numbers – Not mandatory. It is no longer mandatory to link your Aadhaar to your mobile numbers. Private companies cannot force you to link your Aadhaar as the SC read down Section 57 of the Act which allowed the use of Aadhaar number for establishing the identity of an individual for any purpose. Linking of Aadhaar with bank accounts – Not mandatory. Banks cannot force you to link your bank accounts with your Aadhaar number. However, they will automatically be linked since your PAN cards, which need to be linked to Aadhaar, are linked to your bank accounts. Providing Aadhaar details for school admissions – Not mandatory. The SC stated that admissions cannot be denied to children who are not able to provide Aadhaar card details. “Aadhaar can’t also be insisted for admission to schools. For the enrolment of children, the consent of parents would be essential,” Justice Sikri stated in the judgement. For availing government subsidies and welfare schemes – Mandatory. 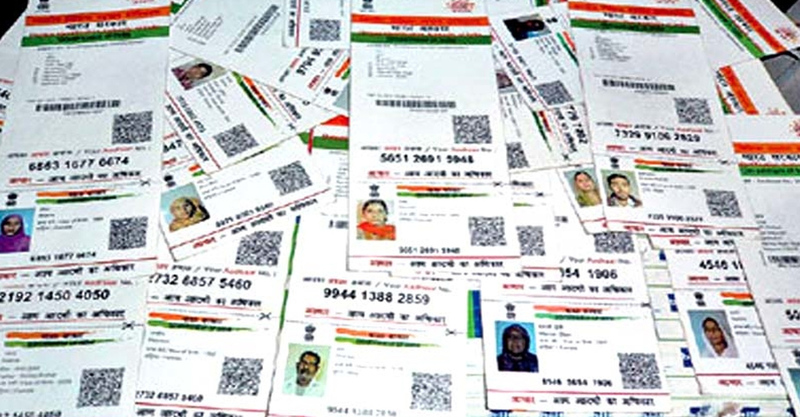 Justice AK Sikri observed that Aadhaar is meant to help government benefits to reach marginalised sections of society. It is currently mandatory for MGNREGA, PDS and LPG subsidies. For entrance exams – Not mandatory. The Supreme Court stated that the CBSE, NEET and UGC making Aadhaar mandatory for their exams is “bad” and they cannot do so. The SC verdict brings to a close the second-longest hearing for a case. A five-judge Constitution Bench comprising CJI Dipak Misra and Justices AK Sikri, AM Khanwilkar, Ashok Bhushan and DY Chandrachud heard the petitions for 38 days over a period of four months. The five-judge bench began hearing on January 17 and reserved its judgement on May 10. The case had been referred by the apex court to a Constitution Bench for hearing in 2015. UIDAI was launched in 2009, and Aadhaar numbers were given from September 2010.